Marriage is impossible. Zakia’s life will be forfeited, her brother’s inheritance lost in the pursuit of justice, and the family’s honor will vanish until she is brought to what is a cold and cruel, a sexist and racist, justice. Her family will disown and likely murder her, should they find her. It will be her father, her brothers, and her male cousins who hunt Zakia down for loving and following after Ali in order to have a life she dreams about. Zakia and Ali are from rival sects and disparate ethnicities—Sunni and Shia, and Tajik and Hazara. They live in Bamiyan in central Afghanistan (where the famous Buddha statues were blown up by the Taliban in 2001) and from flirtation across the village fields and secretive phone calls, their love is discovered and threatened, violently and physically, by Zakia’s brothers and her father. Zakia is willing to risk her life to be with Ali. She runs away from home and finds safety at a women’s shelter and then summons the courage to cross the mountains into Ali’s arms. The sentimental title is unfortunate because things didn’t end well for Shakespeare’s couple and tempts fate for Zakia and Ali’s ending. Love hasn’t quite triumphed. While love has brought Ali and Zakia a daughter named Ruqua and has mended the bonds with Ali’s family, who has welcomed both of them, Zakia is still at risk of being murdered after her family’s public declaration of vengeance. Both have returned to the village where everything began, and Ali works the fields with a loaded pistol at his side at all times. Rod Nordland, an international correspondent and the Kabul bureau chief for the New York Times, gets personally involved in Zakia and Ali’s stories, trying to help them financially and through the governmental red tape to safety and happiness, straining the limits of propriety of a reporter’s distance from his story. There are occasions when Nordland and his cohorts seem to step beyond boundaries in order to get a story. For instance, while Zakia is still in the women’s shelter, his photographer barges in past the barriers, despite men not being allowed, and knowing enough of the language to understand what is being said, and taking her picture, and then plastering it over the country to make her and Ali poster children for Western ideals when they are being threatened by their families. 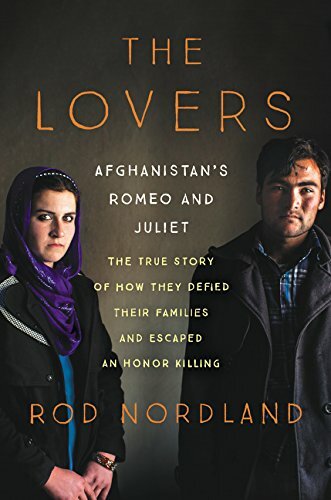 Nordland also includes stories of several other honor killings in this book over love marriages and elopements of other Romeos and Juliets. This is an eye-opening book that is great for starting conversations on women’s rights in other cultures and talking about ethical dilemmas in reporting. This book would be a good college common reader for its potential for discussions on human rights, social justice, reporting, extremist religion, the role of the United States in Afghanistan, and more. Furthermore, the story itself is easy to read and follow, though it does slow down at times as details are added into the story to detail the setting or to follow up on some facts, which readers may not be interested in when compared to the main narrative. However, the historical facts Nordland supplies on topics such as Afghanistan’s struggle with Communism and its reaction with extremist Islam and other informational pieces will help paint a larger picture of a country we so often hear about and know so little about.